I adore LC's line at Kohl's! It's mature, without being frumpy. I want to buy it all! We headed into town for the day to have some fun together. We always let the boys go to the toy store on their birthday to pick out a special gift with the money they received from family. Last year Jude clung desperately to his Elmo doll. This year it was an Elmo cash register. 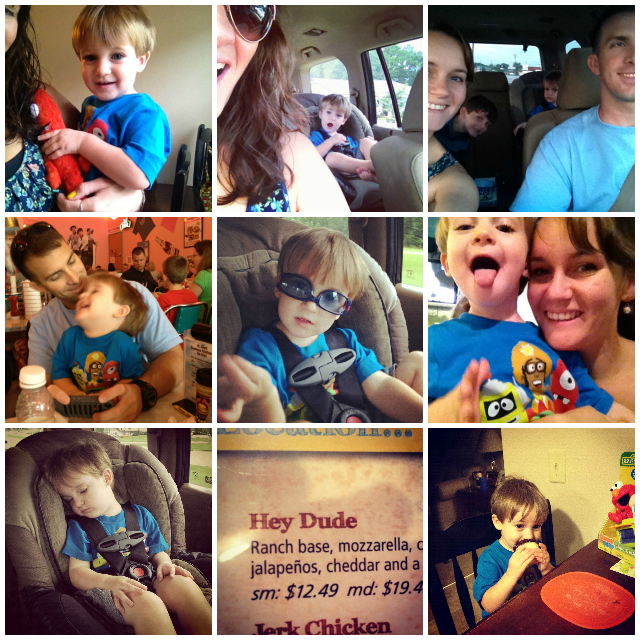 We shopped, we ate, we played and we ended the day with a Jude's birthday tradition, eating pizza at Mellow Mushroom. (I'll explain this tomorrow) Then, we headed home with some cupcakes and popcorn. Sang, opened more presents, and fell asleep together in the living room while watching The Lorax. It was another perfect day spent together as a family. I hope you'll consider linking this post up to our Sunday Snaps Link-Up Party! I definitely think you have a great chance to be featured... Especially with the little one's silly faces and smiles! 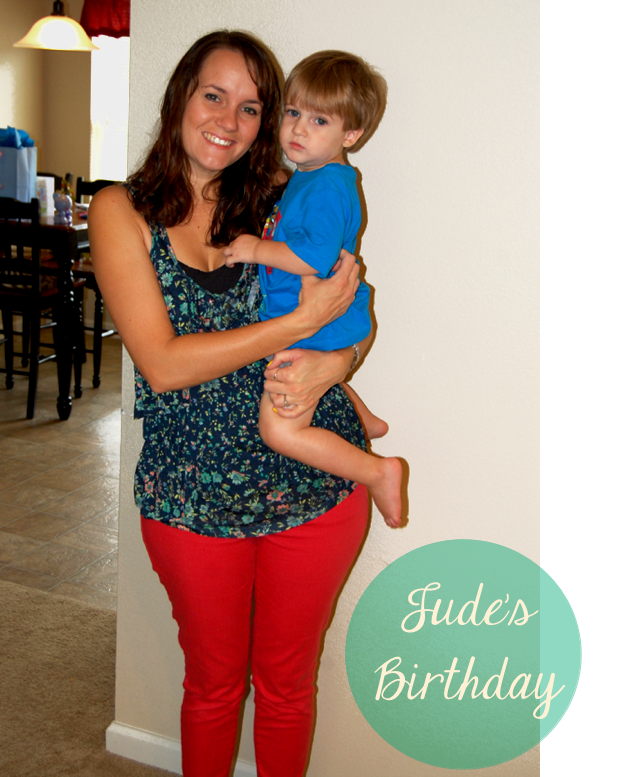 Happy Birthday to Jude! And I LOVE the Lorax. Great choice! Great pictures and thank you so much for linking up with us! Your little guys is precious and it looks like he had a great day! 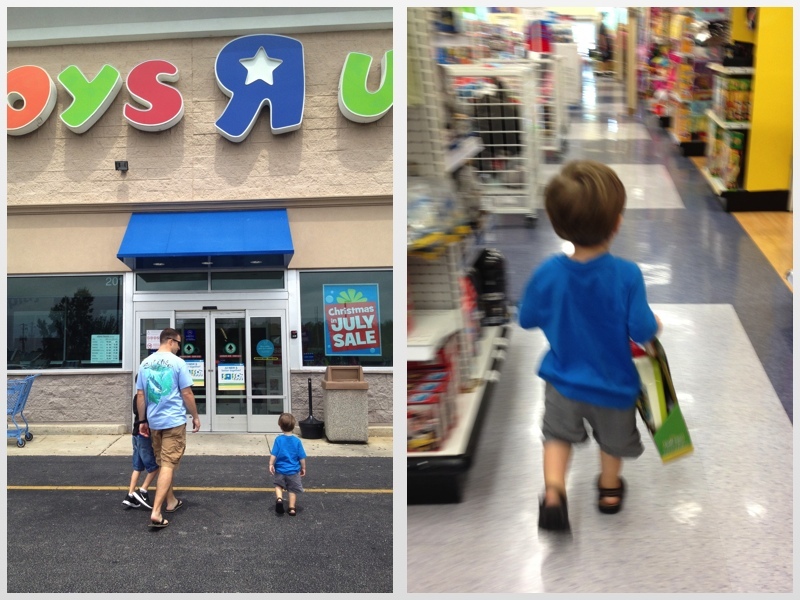 I visited toys'r'us for the first time in years the other day with my godson - id forgotten how awesome it is! !